Help! Sinister shadow creatures have abducted your little sibling and dragged them away through a magical portal. Who will help now? Nobody seems to be rushing to their aid. So it's up to you to step through the portal and into a fantastical world. Save your sibling! 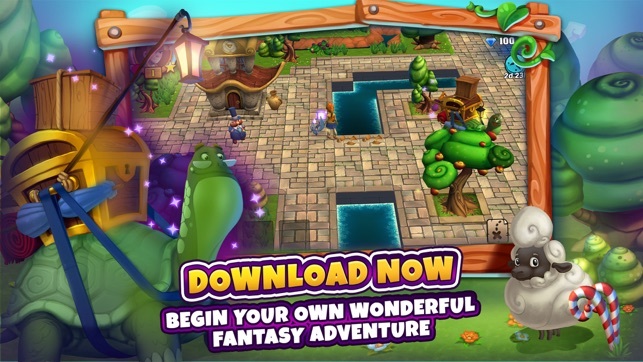 Download the upjers Wonderland adventure today! * An enchanted village full of quirky inhabitants and exciting adventure quests. Meet the mayor and his mother, the mysterious faun and the turtle merchant Gonzales. * Explore a wonderful fantasy game setting riddled with surprises. 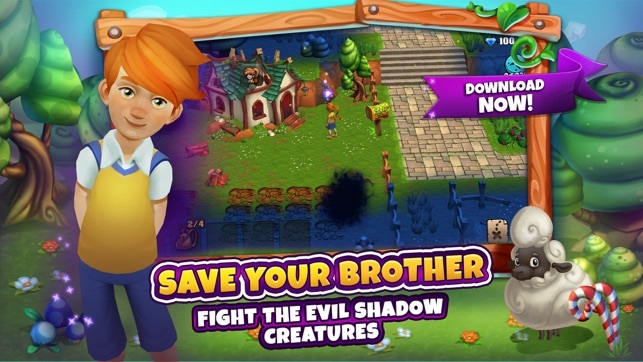 Expel the evil shadow creatures with sun stones and find your sibling! * Move into your own little cottage and take care of cute animals such as the heavy metal sheep which supplies you with steel wool. * Fight and vanquish the shadow creatures in this one-of-a-kind action adventure. Solve tricky puzzles and save your sibling with the help of your loyal companion, Fizzle. 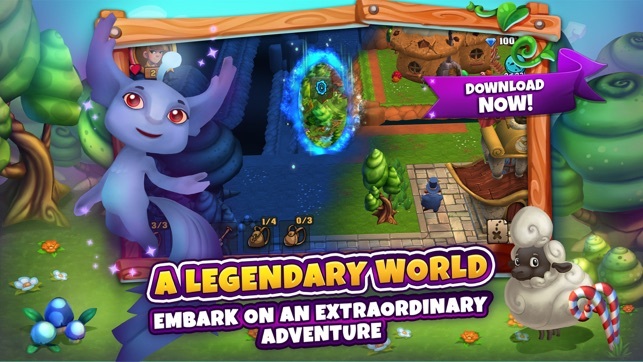 Discover the spectacular fantasy game upjers Wonderland. Travel through the magical portal and embark on the adventure of a lifetime. 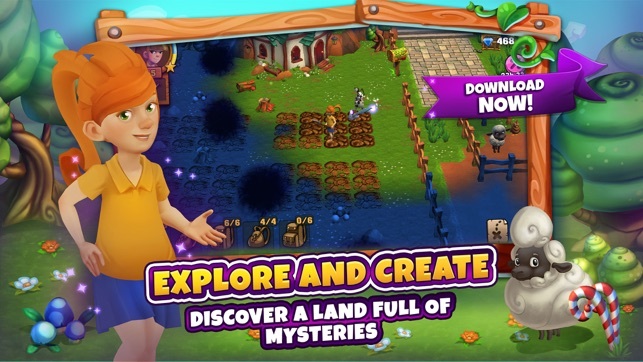 Explore a lovingly detailed world as you master quests and challenges and solve puzzles and more in this action adventure. Download the adventure app now! Your sibling is waiting for your help! Fizzle the fairy and the two siblings won't let themselves be cowed by the evil shadows and have cleaned up in upjers Wonderland! The overall performance of the game has been improved and a few little bugs have been squashed. There's nothing standing in the way of adventure now! Update the app now and dive into the fantastic world of upjers Wonderland! I really like this game. The storyline is cute and I love finding random characters to recruits back to the village. But having to wait nearly ten hours after each portal for a new one to open is frustrating. Especially when it only takes about twenty minutes to explore each new world. Also, the storage situation is ridiculous. The house storage is small and the bags don't allow you to carry enough. You need several tools plus food for when you go exploring and that takes a lot of space so you end up nitpicking what resources you want to keep when you discover them or end up doing a LOT of back and forth running between the portal world and village. And the fact that there doesn't really seem to be a way to earn diamonds, either in game or by watching ads, is really annoying too. Personally, I don't see the point of spending real money on fake currency that I'll have to keep buying to keep stocked. Thank goodness this isn't a pay to win game. If they would just shorten the wait time between discovering new worlds, I would really enjoy this game. Everything else, the shortage of storage and lack of diamonds, I can tolerate. But 9 to 10 hours between worlds? Ridiculous! There's next to nothing to do in the actual village! Most of the adventure is exploring worlds and recruiting characters. So, so far I am pretty hooked. The navigation took a bit to get used to. Your left mostly on your own as far as figuring things out. Which is both frustrating and kinda fun. The storage is an issue for me. There are so many tools you need and so many resources to collect. The storage is small. You can buy more... but until I decide IF I want to spend money on this game, I won’t. The energy bar is by far the most frustrating. I feel like I get all excited. I’m going to do this, that and the other. And do one small thing and the character is tired. So need food.... more storage. Sigh.... The game crashes a lot and needs to be reloaded. Then you loose some of the progress you have made and resources you have collected. That being said. The story is cute. I like the towns people. If I had more of an energy bar and better tools... I would be playing the s*#t out of this game. I like the turn taking combat. I like the quests. I like collecting stuff. Storage... sigh. Well, I didn’t see a release date. And with only 30 reviews, I am guessing this is a new game. So I will eagerly await the updates and hope I get to love this game. I really like the adventure and storyline of this game. That being said, like many others have said, the energy is ridiculous. It also has weird time issues. For example, it will say something will be ready in 30 minutes and you check in several hours later and it now says 18 minutes. It takes more and more time for portals to open, also. I'm up to 9 hours waiting on portals now if I don't want to purchase diamonds. Yes, I get that they are trying to force you to purchase diamonds, but c'mon. So if you need 3 or 4 stones to banish some of the shadows and it takes 10 hours for portals to open to get stones..... well, it's a lot of down time when you can't do anything more than 30 seconds without running out of energy.